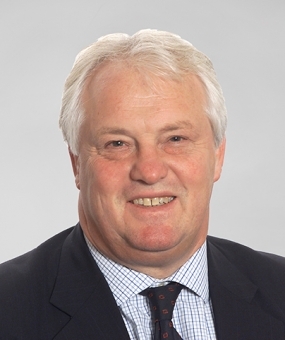 Philip Boulding QC was called to the Bar of England and Wales in 1979 and has been a member of Keating Chambers since 1980. He is now based in Asia and specialises in the fields of construction, engineering, technology law and related professional negligence work. Philip’s practice comprises primarily international arbitration work and his clients include local authorities, government departments, major national and international construction and engineering companies, energy and utility companies and developers. Philip has recently acted as Chairman of a DIAC arbitral tribunal in Dubai in relation to disputes arising from the construction of a gas production facility in Iraq. Praised as a “hard-working silk and powerful cross-examiner” who “is always there when you need him, quick to respond, very thorough and a brilliant team member”, Philip is recommended for his work in Chambers & Partners UK Bar, Global and Asia Pacific guides, Legal 500 Asia Pacific and Who’s Who Legal, as well as in Doyle’s Guide as a leading barrister in Hong Kong for construction and infrastructure. Acting for Hong Kong MRTCL in the high profile Hung Hom Station Public Inquiry concerning alleged construction defects in the station extension with the potential to cause a danger to the travelling public proceedings (which involved being called to the Hong Kong Bar on an ad hoc basis). Acting in Hong Kong court proceedings (which involved being called to the Hong Kong Bar on an ad hoc basis) in relation to applications concerning arbitration awards made in respect of disputes arising out of the construction of the XRL railway project between Hong Kong and Beijing (seat of arbitration Hong Kong). Acting for a Hong Kong contractor in a dispute with a developer concerning a proposed industrial development in Quarry Bay, Hong Kong arising out of the contractor’s termination of the contract for non-payment. Advising (pro bono) legal representatives acting for participants in a public inquiry into a fire in a residential tower block in London on appropriate expert disciplines, particularly in the field of cladding, to properly represent such participants so far as inter alia the cause of the fire was concerned and how similar disasters should be avoided in future. Advising and acting for a joint employer (acting in conjunction with the MTR) against a Korean contractor concerning construction defects in an MTR station in Hong Kong. Acting for Hong Kong plumbing services, air-conditioning and steam plant installation subcontractor against a JV main contractor concerning the construction of a hospital for the Hong Kong The Main Contract adopted the NEC 3 Contract Option A and the Subcontract adopted the Hong Kong Construction Association Domestic Sub-contract form with bespoke amendments. Acting for Joint Venture comprised of internationally known oil and gas companies in relation to a dispute with an Italian construction/engineering contractor arising out of the construction of a 420km LNG pipeline in Queensland, Australia (seat of arbitration Singapore). Acting for Australian company in relation to a dispute with an Australian construction/ engineering contractor arising out of the construction of a gas pipeline in the Northern Territories, Australia (seat of arbitration Singapore). Acting as an umpire for the resolution of discrete disputes concerning disclosure of documentation arising out of a dispute concerning an iron ore plant in Western Australia. Acting for German sub-contractors in relation to a dispute with a Chinese and Japanese Joint Venture main-contractor arising out of the construction of the XRL railway project between Hong Kong and Beijing (seat of arbitration Hong Kong). Acting for a Hong Kong company in relation to a dispute with a casino/hotel operator of a casino/hotel complex in Macau concerning allegedly defective curtain walling, including the Hong Kong company’s liability under a guarantee. Acting for a Hong Kong developer in a dispute with a Hong Kong Government organisation concerning the construction of an underpass to an MTR station in Hong Kong. Acting for 8 Hong Kong construction and engineering companies in a ‘test case’ against a public housing provider in Hong Kong concerning the proper valuation of maintenance/ repair works to public housing tower block. Acting for a Hong Kong construction and engineering company in a dispute arising out of the construction of a casino and hotel development in Macau. Arbitrations in Hong Kong relating to major housing and mixed hotel/office/housing projects in Kowloon. Advising the Taiwan High Speed Rail Corporation in relation to the new ‘bullet train’ railway line between Taipei and Kaohsiung (Tsoying). Advising contractors working on the Nino Aquino International Airport in the Philippines. Acting for a Hong Kong Government Department in arbitration proceedings relating to a dispute arising out of enabling works for the construction of a well-known and internationally recognised theme and leisure park. Advising and acting for a Singaporean shipbuilding company working out of China in relation to two separate and unrelated sets of arbitration proceedings arising out of the construction of vessels to be used, amongst other things for use in the decommissioning of offshore oil and gas structures. Advising (under Philippine law) a Macanese company in relation to the suspension of a project in Macau comprising the construction of a casino resort and hotel complex due to financial problems experienced by the USA owners. Advising and acting for Irish contractors involved in disputes on contracts with West Indian government departments relating to the construction of roads and associated infrastructure works in the Caribbean. Advising and acting for Irish contractors involved in dispute on a contract relating to the construction of a motorway in Ireland. Advising and acting in arbitration proceedings arising out of a dispute between a Hong Kong sub- contractor and an Australian main contractor concerning the construction of an 88km length of highway in the Philippines, with the dispute being subject to Philippine Law (sum in issue US$20M+). Advising and acting for a Hong Kong Government Department in relation to a dispute with an international construction company. Advising international contractor specialising in the design and installation of railway signalling works in respect of a dispute with a Japanese corporation arising out of the construction of the CKS International Airport Access MRT System, Taiwan. Acting for Hong Kong construction and engineering company in arbitral proceedings concerning a project for the Peoples’ Liberation Army, Hong Kong. Acting for Australian mining company in relation to a dispute arising in connection with a mining contract for exploitation of coal at the Khushuut Mine, Mongolia. Acting for South African consultancy company in an arbitration concerning the greenfield development of iron deposits in the Republic of Guinea, Africa, involving the design and construction of mines and mining infrastructure, approximately 655km of railway and port facilities; acting in arbitration for Japanese Joint Venture involved in the construction of a Maritime Self Defence Force Base in Djibouti, Africa for the Japanese Defence Force. Acting for a hotel management company involved in an arbitration concerning a dispute with a Chinese property development company relating to the construction of a hotel in Beijing, China (PRC law, dispute value approximately US$18m). Acting for a Hong Kong based contractor against the Hong Kong Government in arbitration proceedings arising out of the construction of a public recreational park in the New Territories. Acting for Australian contractors involved in a dispute over the construction of a cigarette factory in the Philippines. Acting for Korean contractors in relation to a large engineering project in Singapore and an International JV involved in a dispute arising out of the construction of a railway in Scandinavia. Advising a commercial trading/investment organisation on the issues involved in gas emissions trading under the auspices of the Kyoto Protocol. Acting for Hong Kong plumbing services, air-conditioning and steam plant installation subcontractor against a JV main contractor concerning the construction of a hospital for the Hong Kong Government. Acting for a Hong Kong construction and engineering company in relation to the construction of a substantial sports complex in Hong Kong. Acting for 8 Hong Kong construction and engineering companies in a ‘test case’ against a public housing provider in Hong Kong concerning the proper valuation of maintenance/repair works to public housing tower blocks. Acting for German sub-contractors in relation to a dispute with a Chinese and Japanese Joint Venture main-contractor arising out of the construction of the XRL railway project between Hong Kong and Beijing. Acting for a Hong Kong Government Department in arbitration proceedings against a Spanish construction and engineering company concerning a dispute arising out of the construction of a bridge and associated roads and infrastructure in Kowloon, Hong Kong. Acting for Hong Kong contractor in a dispute with an airport authority concerning the construction of new facilities at Chep Lap Kok airport, Hong Kong . Acting for a Hong Kong based construction company in relation to a dispute with its JV partners concerning the development of a casino/hotel complex in Macau (including references to the Independent Disputes Referee under the JV Agreement). Advising contractors designing and constructing a motorway in Ireland in relation to a claim for unforeseen archaeological conditions against the employing a Government Department – Claim value £40m. Acted for the Hong Kong Airport Authority on various substantial actions arising out of the construction of the Chek Lap Kok International Airport in Hong Kong, as well as the associated MTR station. Advised and acted in arbitration proceedings for a major international airline on disputes over a new hangar for jumbo jets. Acting for a major supermarket chain in a TCC action regarding the construction of a multi deck car park. Advised and acted for civil engineers in TCC proceedings regarding a fire at a cold storage unit. Acted for a subsidiary of a major international corporation on arbitration proceedings relating to the development of a landfill site in the Midlands and the escape of toxic substances therefrom. Advising property developers in relation to loss and expense claims regarding a substantial residential development in the North West of England. Acted for a multi-national JV in arbitration proceedings relating to the construction of the Tsing Ma Bridge suspension bridge in Hong Kong. Advising and acting in arbitration proceedings for International JV in a dispute with the designers of the Kap Shui Mun Bridge, Hong Kong. Advising the Taiwan High Speed Rail Corporation in relation to the construction of and disputes relating to the high speed ‘bullet train’ project in Taiwan linking Taipei and the south of the island. Acted for a sub-contractor on disputes relating to the construction of RORO car ferries in Belfast. Advising Australian contractors involved in a dispute arising out of the construction of a cigarette factory in the Philippines. Acting for an International JV involved in a dispute with a Scandinavian Government arising out of the construction of a metro system. Advising a UK rail company in relation to a subsidence claim against a mining company resulting in damage to railway tracks, interrupted services and a large claim for repair costs and consequential losses. Acting for Hong Kong steel supplier in a dispute with Macau casino owner arising out of the cancellation of the steel supply Dispute subject to the Law of Macau. Seat of arbitration Macau. Acting for a British/Japanese JV in a dispute with an Asian Government department arising out of the design and construction of a bridge linking Hong Kong Island with Chep Lap Kok airport. Acting for European contractors engaged by a Hong Kong corporation for two substantial diaphragm wall sub-contracts concerning the MTRC Express Rail Link. Acting for Hong Kong curtain walling company on claims arising out of construction works at Hong Kong University. Acting for Hong Kong construction company on adjudication concerning the construction of service facilities at Chek Lap Kok airport, Hong Kong. Acting for Hong Kong contractor in a dispute with an airport authority concerning the construction of new facilities at Chep Lap Kok airport, Hong Kong. Acting for Hong Kong joint venture partners in relation to a dispute with the Airport Authority Hong Kong concerning the construction of the Airport Skyplaza extension adjacent to Chek Lap Kok airport, Hong Kong. Acting in arbitration for Japanese Joint Venture involved in the construction of a Maritime Self Defence Force Base in Djibouti, Africa for the Japanese Defence Force. Acting for Hong Kong piling sub-contractor in relation to a project to construct a special school for the physically disabled in Area 16, Tuen Mun, Hong Kong. Acting for Hong Kong contractor involved in substantial dispute referred to adjudication relating to a development at Chep Lap Kok airport, Hong Kong. Acting for a hotel management company involved in an arbitration concerning a dispute with a Chinese property development company relating to the construction of a hotel in Beijing, China (PRC law). Acting for Joint Venture comprised of internationally known oil and gas companies in relation to a dispute with an Italian construction/engineering contractor arising out of the construction of a 420km LNG pipeline in Queensland, Australia. Acting for Australian company in relation to a dispute with an Australian construction/ engineering contractor arising out of the construction of a gas pipeline in the Northern Territories, Australia. Acting for EC Bank in an adjudication in relation to a dispute concerning a nuclear energy facility in Claim value E41m. Acting for a major power generation equipment manufacturer in relation to a dispute concerning the construction of a power plant in the UK incorporating a steam turbine. Acted for a South American engineering company in ICC arbitration proceedings arising from the design, fabrication and construction of an oil pipeline, pumping stations and associated communication system and marine oil terminal in East Africa. Acting for a multinational JV in arbitration proceedings relating the construction of an oil treatment and stabilisation facility in the Middle East. Advised a major Italian oil and gas construction contractor regarding a facility comprising of an oil treatment and stabilisation and gas compression facility. Advised and acted in arbitration proceedings in Singapore for a regional subsidiary of a major oil company concerning issues relating to the fabrication of oil rig platforms in Brunei to be erected in the South China Sea. Advised various customers of the British Nuclear Fuels Industry on disputes over the terms of agreements concerning the safe treatment and disposal of nuclear waste. Acted for a network utility company in adjudication and court proceedings regarding delay and defects claims arising from the laying of a gas pipeline. Advising an oil and gas company on the contract documentation relating to the opening up of a new oil field in the North Sea. Advising and acting in an Expert Determination for a construction company on environmental issues arising out of the construction of a power station in Northern England. Acting for a Texan company involved in a Technology and Construction Court dispute arising out of work carried out to a North Sea oil and gas rig. Acting for a British construction company in a dispute with a Korean company arising out of the in connection with the development of a Heavy Naptha Hyrotreater and Continuous Catalytic Regeneration Platform Unit and new 66kv/12kv Substation at the Point-A-Pierre refinery in Trinidad – seat of arbitration New York. Acting for South African consultancy company in an arbitration concerning the greenfield development of iron deposits in the Republic of Guinea, Africa, involving the design and construction of mines and mining infrastructure, approximately 655km of rail and port facilities. Acting for a leading architect’s practice which is being sued in the TCC (together with the contractors) for alleged design/workmanship defects in substantial improvement works carried out to one of the world’s most famous and prestigious tennis stadiums (claim value approximately £5m). Advising a UK local authority in relation to claims against its professional team arising out of the substantially increased cost of constructing a new school in Dorset (contract value £20m+). Arbitration proceedings in Hong Kong concerning the enforceability of an insurance policy issued by a Hong Kong insurer which was intended to indemnify the contractor in respect of injuries to and deaths of its workmen caused by an explosion in a fabrication yard. Acting for a Hong Kong Government Department in arbitration proceedings alleging negligence against its professional advisers in connection with the design and construction of a tunnelling scheme. Acting for a Hong Kong Government Department in arbitration proceedings alleging negligence against its professional advisers in connection with the design and construction of a bridge. Acted for a technology company in an intellectual property case against a Swiss company relating to the manufacture worldwide of Ball Grid Array products and Microvias using laser technology for use in electrical products such as mobile telephones. Acted for a major Hong Kong based corporation in dispute with Japanese manufacturers of computerised quay cranes for use at the Hong Kong container port. Acted for the Port Authority in Singapore in a dispute arising out of faulty computer technology installed in bridge cranes supplied by Japanese manufacturers. Advising a global management consulting, technology services and outsourcing company in relation to claims relating to time over run on the installation of a unified computer system. Advised and acted in arbitration proceedings for an international computer company in relation to the provision of an enhanced computerised ticketing system (the London Oyster Smartcard which was intended to replace the existing magnetic strip type tickets) for London Underground railway system and Buses which was designed, amongst other things, to increase revenues and reduce fraudulent transactions. Acting as Umpire in an UNCITRAL arbitration seated in Singapore between a Korean Corporation and an Australian mining corporation concerning a dispute arising out of a sub – contract for the construction of certain port landside works on an iron ore project in Western The Umpire was required to determine a dispute which arose during the course of the proceedings over the application of without prejudice privilege to various materials and allegations, the parties having agreed that the law of Western Australia applied to this aspect of their dispute. Acting as Chairman of an arbitral tribunal appointed under the DIAC Rules concerning a dispute between two Iraqi companies concerning a dispute in Iraq arising out of the construction of a gas production facility at Badra in the Republic of Iraq (seat of arbitration Dubai, A.E.). Appointed by the International Chamber of Commerce as co-arbitrator on a dispute relating to commercial property in Bahrain. Appointed sole arbitrator on a matter relating to a commercial property complex in the Caribbean. Appointed sole arbitrator on an engineering dispute in the United Kingdom. Appointed sole arbitrator on a dispute between a property developer and contractor concerning a development on Humberside. Appointed co-arbitrator (3 man panel) on ICC arbitration concerning construction dispute in Qatar (place of arbitration Doha, Qatar). Qatar Law. Appointment as sole arbitrator on a dispute between a construction company and the Hong Kong Government (place of arbitration Hong Kong). Acting as adjudicator in a dispute between a railway service provider and engineering professional arising out of a contract for civil works and railway signalling installation, railway signalling design, E&P testing and commissioning in the SE of England (claim value approximately £30m). Acting as mediator in a dispute between a leading retail DIY store and a paint supplier in relation to breach of a vendor supply agreement – Claim value £10m. Acted as adjudicator on two adjudications relating to target price mechanisms. Acted as adjudicator on a £35 million commercial development dispute relating to damages for defects and delay. Acted as mediator on a dispute relating to the construction of a shopping centre in the North of England. "One of the star construction silks - he is very well-known in Asia, where most of his work is." "One of the big hitters in Hong Kong, whom the Chinese construction market knows very well". "He is fantastic with clients and works collaboratively with my team." "An exuberant and highly intelligent performer who has a strong practice in Hong Kong." "A popular choice for Hong Kong construction disputes." "I've heard him called the attorney general of Asian international arbitration." "A very forceful advocate and ferocious cross examiner." "He is very impressive, hands-on and client friendly." Contributor, Keating on Construction Contracts – Ninth Edition Editors: The Hon Sir Vivian Ramsey and Stephen Furst QC 29 February 2012 (plus Supplement Summer 2013). Philip is a regular contributor as both speaker and Chairman of Construction Conferences held in the UK and abroad.